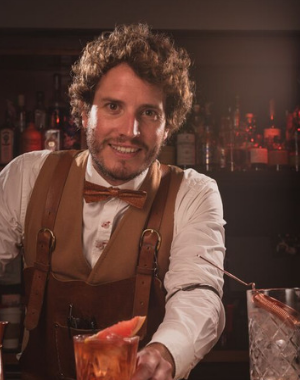 Crowned World Class UK Bartender of the Year in 2014, James recently opened eco-friendly restaurant Terroir Tapas. After a productive 2018, James is looking forward to more momentum around sustainability in the industry for the year ahead. I started out bartending: at university, around 19 years ago now. I think the original appeal of the service industry was the chance to provide a great consumer experience using my creativity and resourcefulness. The industry has changed: quite a bit since I started out. Consumers today know and care a lot more about what they’re drinking. 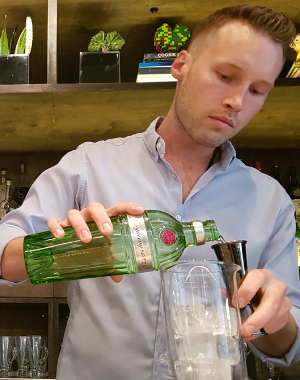 As a result, bartenders have had to become more educated not only across their products, but categories and techniques, too. This past year was: a learning curve for me. I’ve moved home on to a farm in England which was in part, influenced by opening my environmentally friendly restaurant, “Terroir Tapas”, at the beginning of the year. Being on the farm brings me closer to our produce and I can now directly source produce to be more sustainable. This enables me to make smarter choices in sourcing ingredients, like fermenting and preserving market rejected fruits in my bars to reduce our footprint – a trend towards responsibility I think the industry needs to continue. New Year Resolutions: I’m not great with them, to be honest. I’m more of a change throughout the year kind of guy. I keep myself busy so new ideas and opportunities are continually presenting themselves. Away from work there needs to be a good balance, so I plan for more travelling with my wife and spending quality family time with the kids, as well as a few potential side projects. The year ahead: I really hope themomentum continues around considering the environmental impacts of our trade. Product wise, I’ve my fingers crossed the gin craze will die down a little – although I have gained a lot more love for classic gin brands. I’m hoping my consumers will continue edging toward whisky. 2018 was the greatest year to date for me. 2019 will be better, though. Now the foundations are in place, I’m pleased with where I’m at professionally and personally, so it’s time to enjoy it! Actor, stuntman, proud Australian and cocktail bartender, it took Dave Bulters a while to land the right role or industry. Now settled in Canada, Dave looks back on a year of travel and looks ahead to developing bar programmes and concepts around his experiences. I started out bartending: back in Sydney, Australia around 2007. I originally got involved with high volume service – cracking beers and pouring pretty simple drinks – to supplement me between auditions and gigs for acting and stunt work. I got my first taste of more structured, cocktail forward bartending in 2012 and when I arrived in Canada three years later, I realized I had more passion for the creativity and encounters that came with bartending than I did with acting. I remember being amazed at how much there was to learn when I started looking into the craft. The industry has changed: a little bit in my time, so far. I think trends and fads come in and are a lot of fun to play with, but at the heart of things, the industry’s core mission remains unchanged: providing memorable experiences for customers. This past year was: pretty fantastic. Starting my new position at Annalena, as well as visits to Bermuda, Ireland and Australia, were the highlights for me. Getting the opportunity to work on a new bar programme, as well as collaborating with a local brewery for a limited-edition beer made it a memorable year for me. New Year Resolutions: I usually make them about three weeks into February, which probably tells you something. Although, if I do decide to make one, I’ll commit to seeing it through. Professionally, I imagine my resolutions will revolve around exploring new liquors, cocktail styles and production techniques that expand my knowledge base. Personally, my resolutions will always be built around experiencing new things with the people I love, and travel is a big part of that. I envisage 2019 to combine both and will hopefully contain a lot of travel to explore the origins of spirits or cultures that fascinate me. The year ahead: I’m always very curious to see where trends are heading with liquor and cocktails. Lately, one of my biggest curiosities has been that of smaller scale distillers – bartenders, brewers, etc. - crafting spirits that are inspired by other cultures’ flavours or styles. That and the ongoing pursuit of ‘lost’ classics and researching the pursuits of historical industry leaders. I’d like to incorporate those areas into my bar program, drawing from my experiences to evoke memories or feelings in guests at my bar. They’re the bars I always enjoy sitting at the most, anyway. 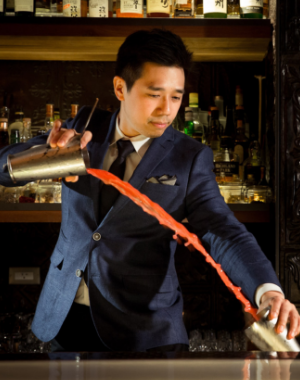 Bar owner and cocktail innovator, Nick Wu, reflects on a busy year of travel and looks ahead to strengthening his bartender education programmes. I started out bartending: quite young and an interest in cocktails led me to my first role - flair bartending at (the now defunct) Room 18 in Taipei in 2008. 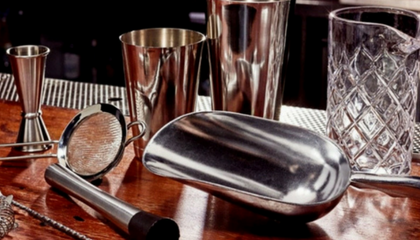 It was a fun, fast-paced entry point to the bartending world and ignited my love of cocktail culture – a subject I am still trying to teach and get people excited about today. The industry has changed: a lot since I started out! Training and bartender education have improved immensely, but they still have a long way to go. Trade education is a passion of mine and Diageo Bar Academy is an amazing example of how we can share knowledge with younger generations or those new to the industry. 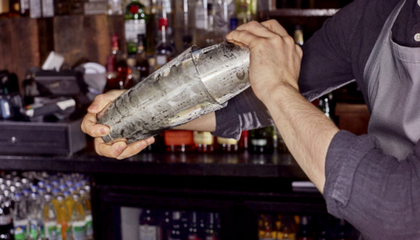 For me, what makes a great bartender hasn’t changed since I started: hard-work, perseverance and good communication. If these attributes exist and we can supply a system to educate and inform, we’ll see a new generation of bartenders dramatically raise the levels of service. This past year was: a lot of fun. In 2018, I managed to visit quite a few cities to teach cocktail courses and squeeze in some guest bar shifts, which opened my eyes to new trends and practices going on in the industry elsewhere. Aside from that, my central responsibilities and focus remained on managing my bars – East End (Taipei – co-owned with the celebrated Hidetsugu Ueno), The Artist Bar (Shanghai), Bar Mood (Taipei), Find the Locker Room and Find the Photo Booth (both Bangkok). New Year Resolutions: I’m not big on resolutions butalways have clear goals and objectives of what I want to achieve in the industry over the year. The year ahead: no matter what year it is, I will remain involved in some capacity with my passion: hospitality. Aside from overseas expansion, the cultivation of talent remains a core objective of mine every year, as I hope to better myself and every partner I work with continually. My objective is to develop and improve our teams, helping them to upgrade their skills and knowledge and, in turn, creating more opportunities in the field for them. Looking for more info on how to give your venue a boost? Sign up to Diageo Bar Academy today for unlimited access to all the latest tips and tricks from industry-leading experts. Having the right equipment to hand makes your job easier and means customers enjoy a faster, more efficient service. 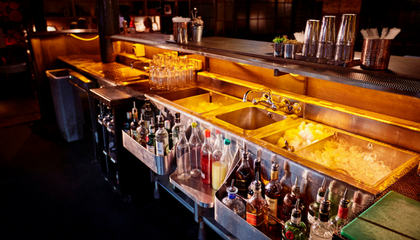 Working in a bar is fast paced and time is not on your side. So how do we ensure that fast service does not compromise serving the perfect drink even when you’re under pressure? Providing consistent, first-class service is key to making your venue stand out among the rest. Using just a few simple steps, we outline how to ensure you start every shift on top.